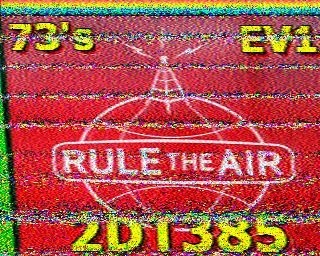 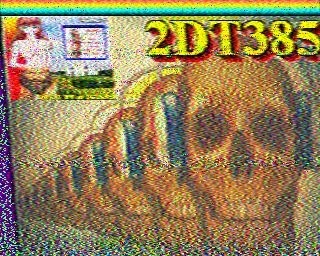 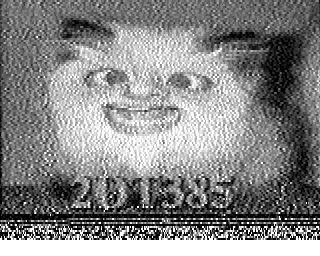 Caught some more SSTV images yesterday. 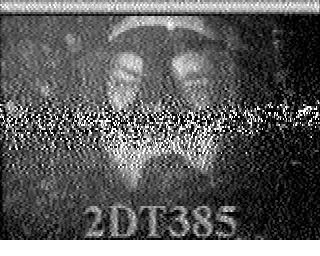 Transatlantic propagation just didn't seen to be there...just a few faint images that were presumably from Europe. 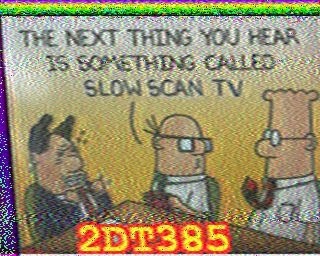 But 2DT385 from Texas did well here. 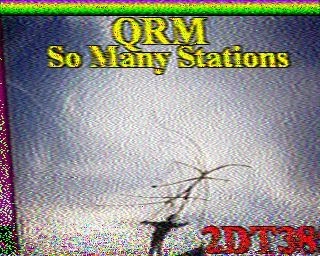 I was outside most of this morning and forgot to sit the R-5000 on 27700 kHz, so I might not have many (any) SSTV images up from today.